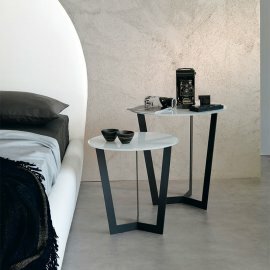 Cattelan Italia furniture is made of 100% Italian materials. Its products are available in 96 countries. 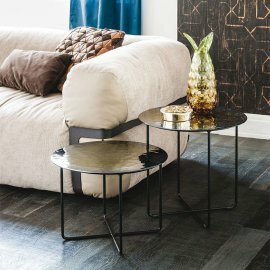 Its line of coffee tables is artistically made and functional. 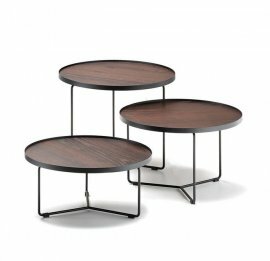 You can have a choice of a family of coffee tables, which usually come in threes but can also be purchased separately. There are various tops to choose from: tempered glass top, ceramic with marble-effect finishes, and the Murano hand-made artistic glass top. 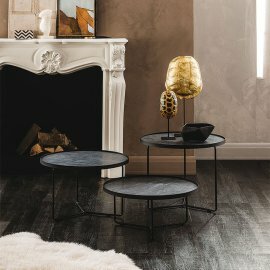 The hand-made tables are popular because of its artisanal feel: it has imperfections, irregularities, streaks and other hand-made characteristics.